However, the Turkish offensive has so far focused on forces allied to the Kurdish-backed Syrian Democratic Forces (SDF), a coalition that includes the YPG, an Observatory source said. The SDF has support from the United States -- which sees the group as an effective Syrian ally against Islamic State, putting Turkey at odds with a fellow NATO member and further complicating Syria's five-year-old civil war. The conflict began as an uprising against Syrian President Bashar al-Assad and has since drawn in regional states and world powers. 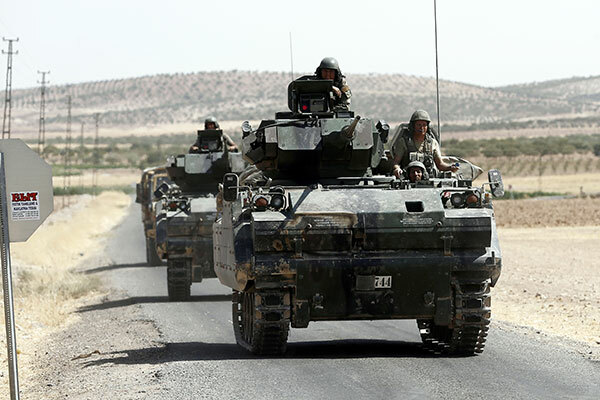 Turkey has suffered shock waves from the conflict raging in its southern neighbour, including bombings by Islamic State. The government suspects the jihadist group was behind a blast at a wedding this month that killed 54 people in southeastern Turkey.